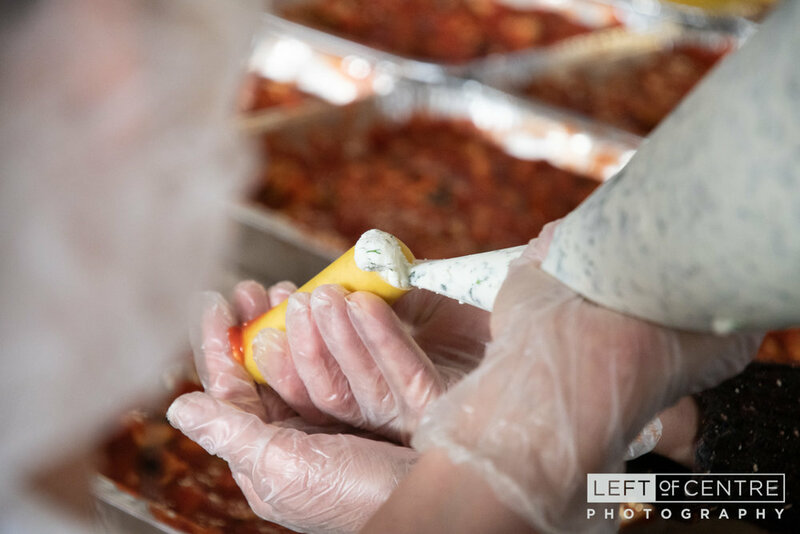 Earlier this month, we were asked to capture a very special event that had an eye to not only the needs of our community, but to many others. 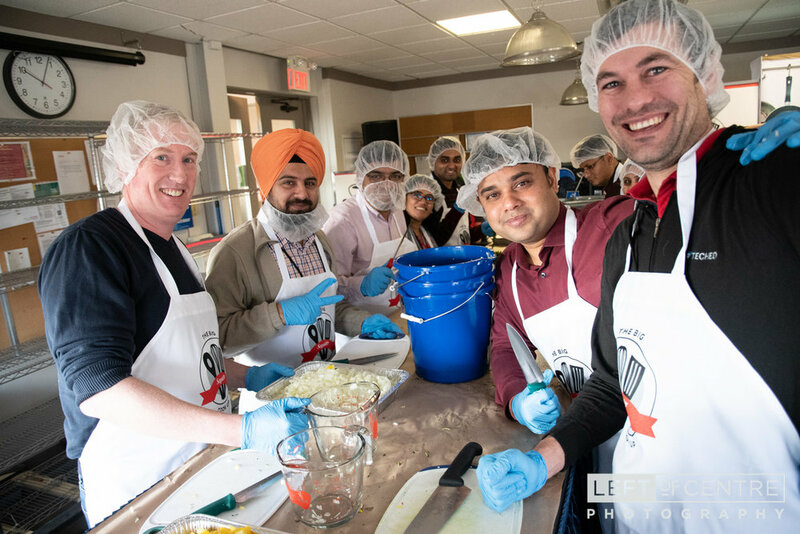 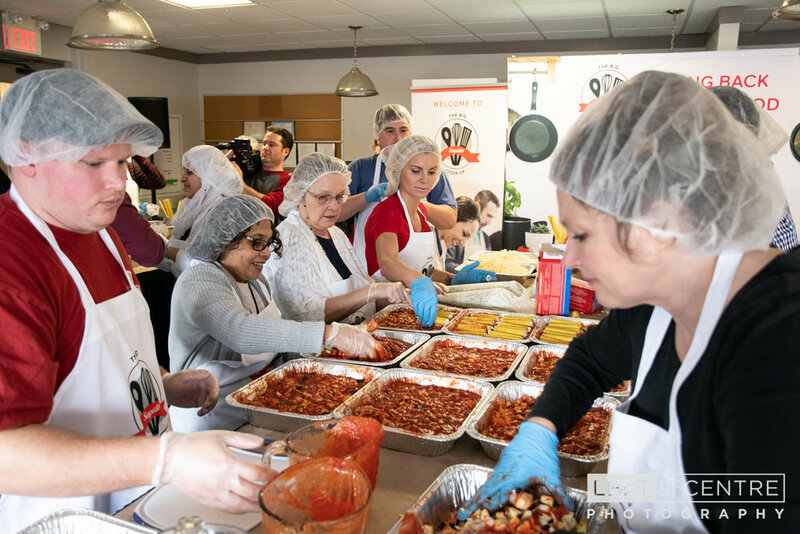 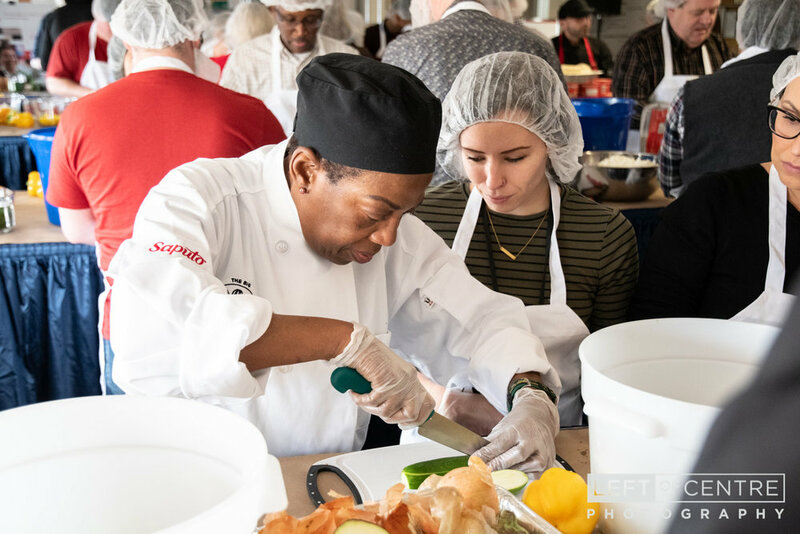 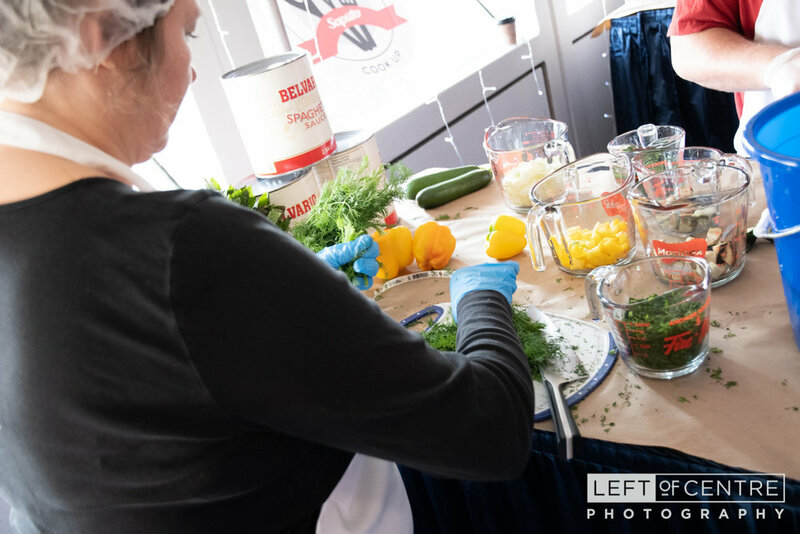 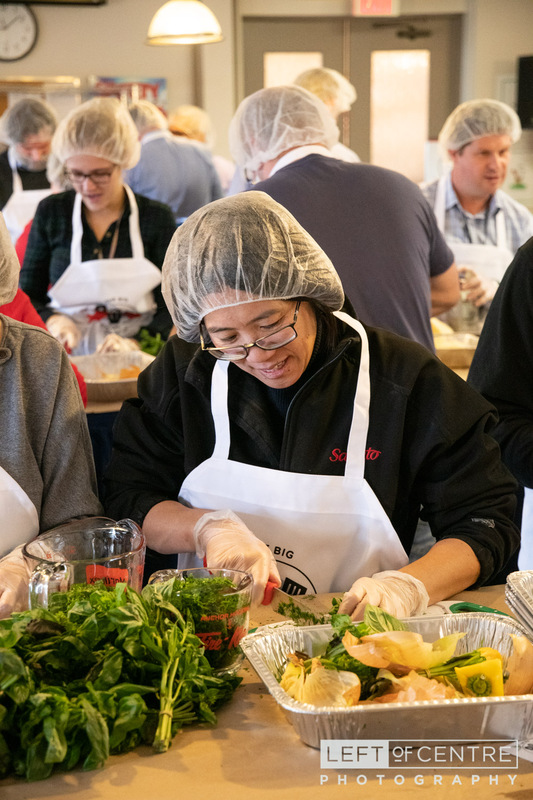 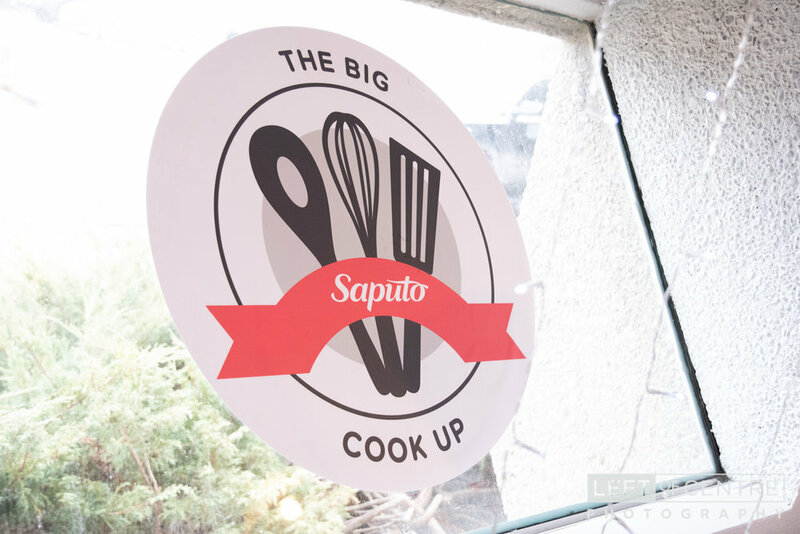 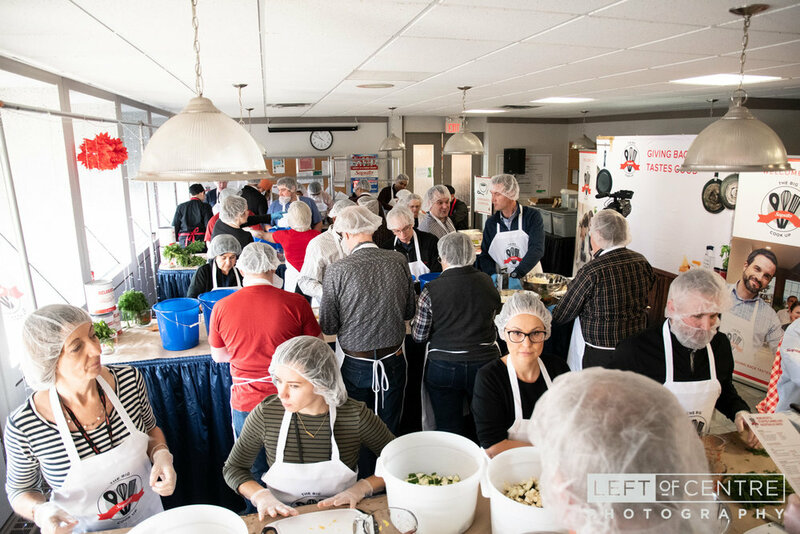 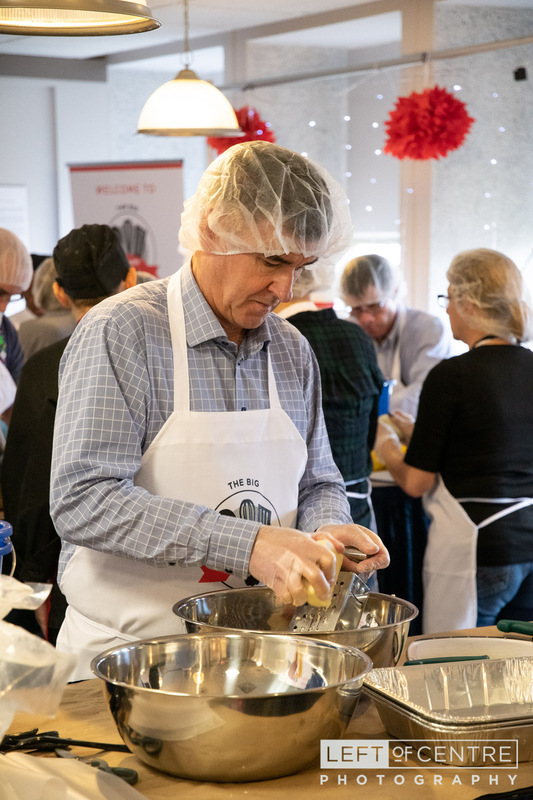 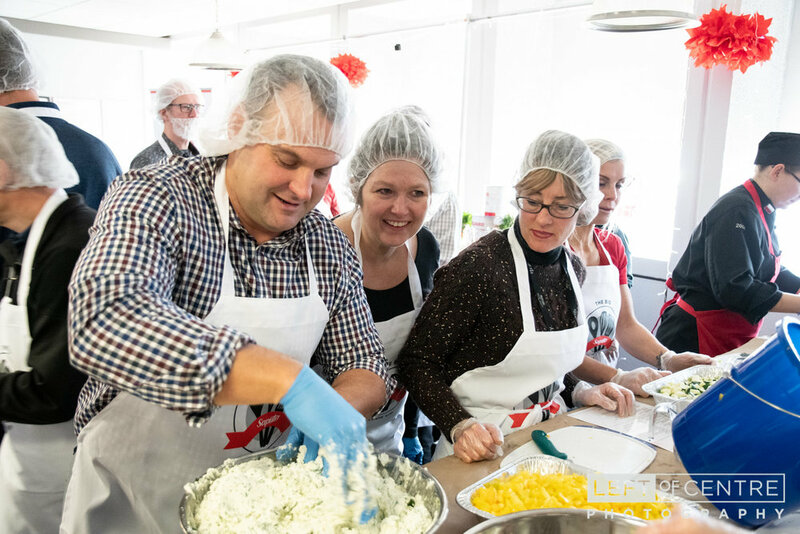 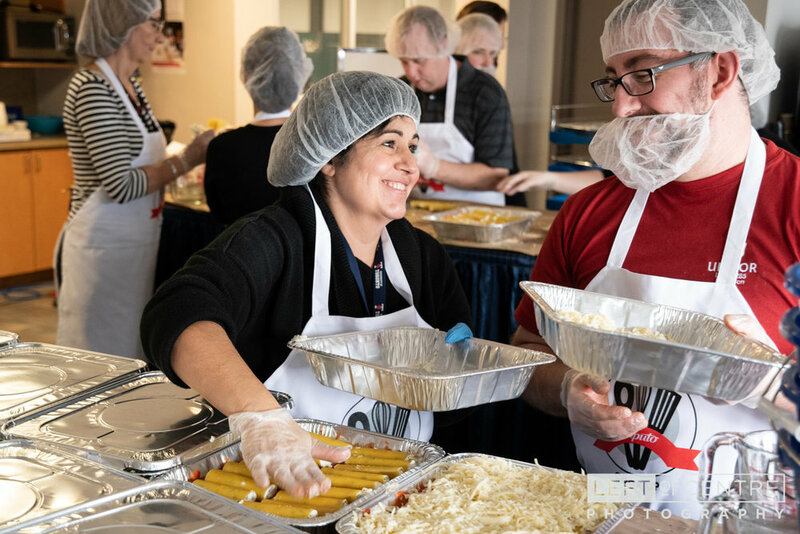 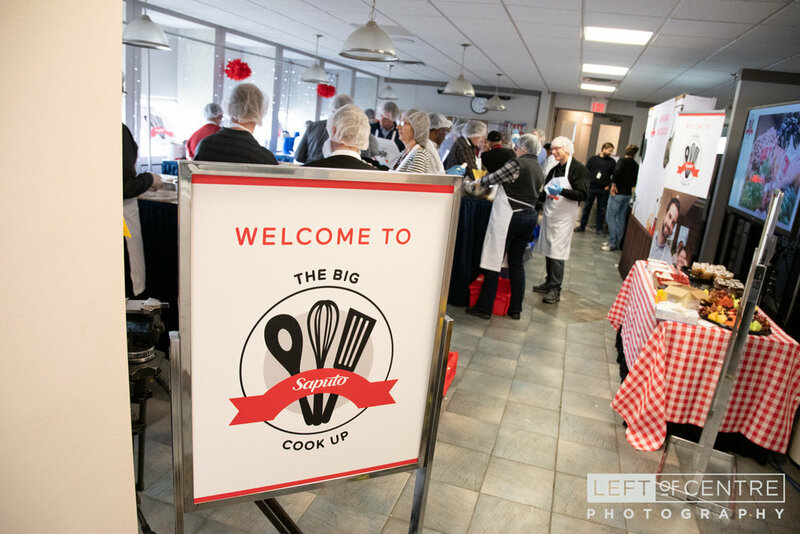 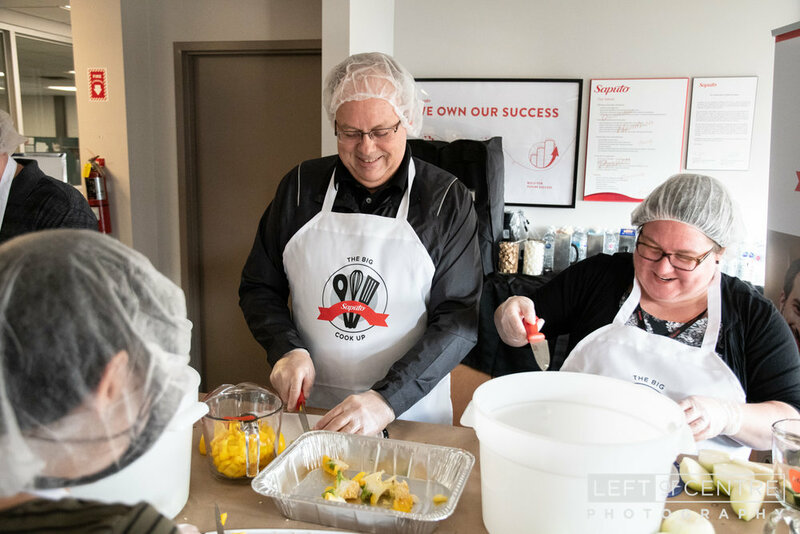 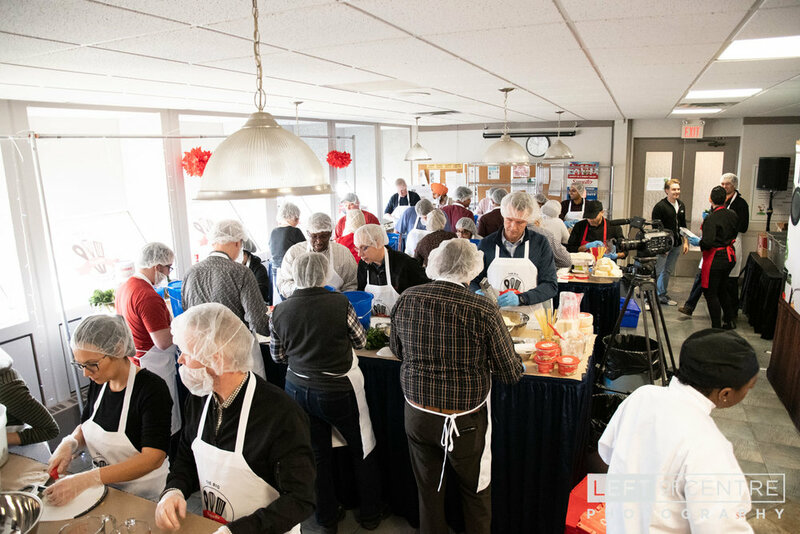 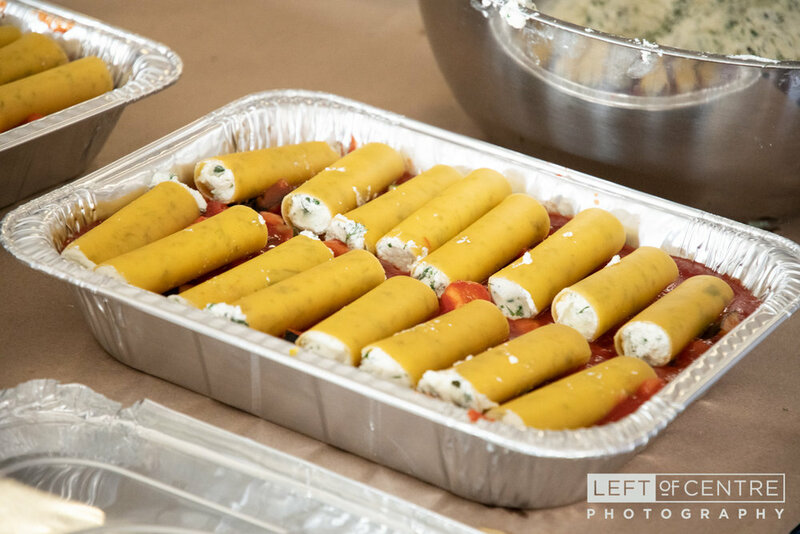 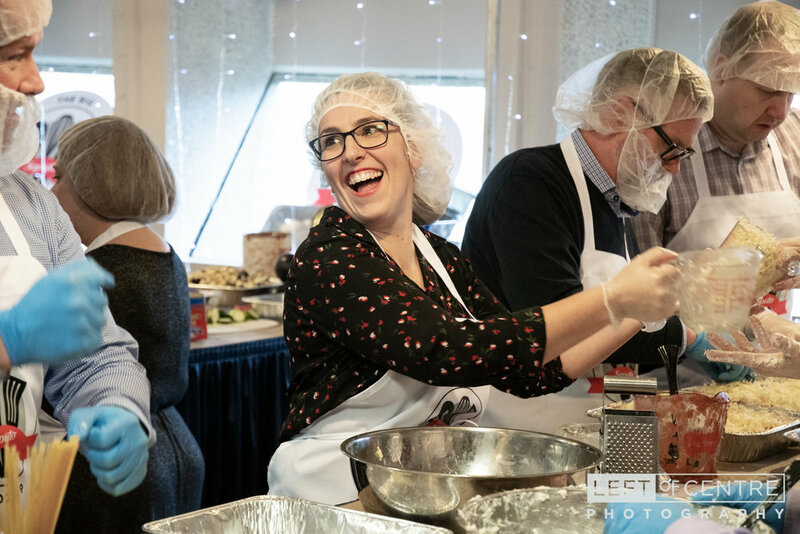 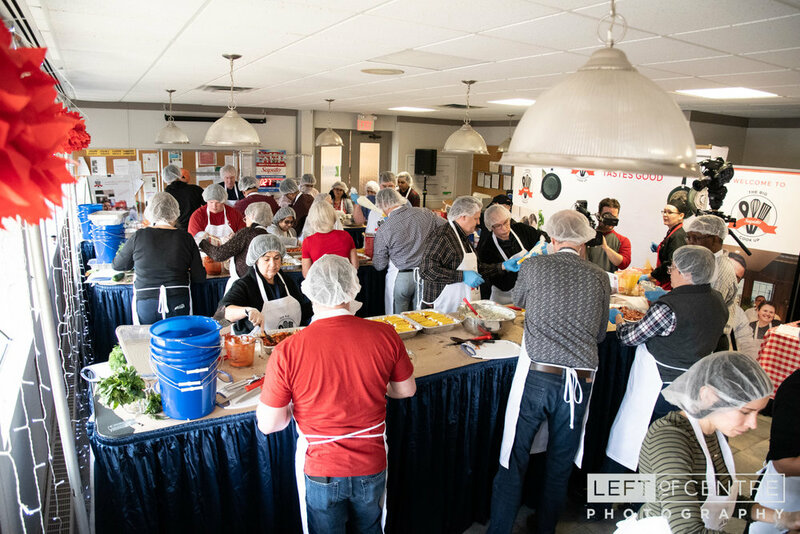 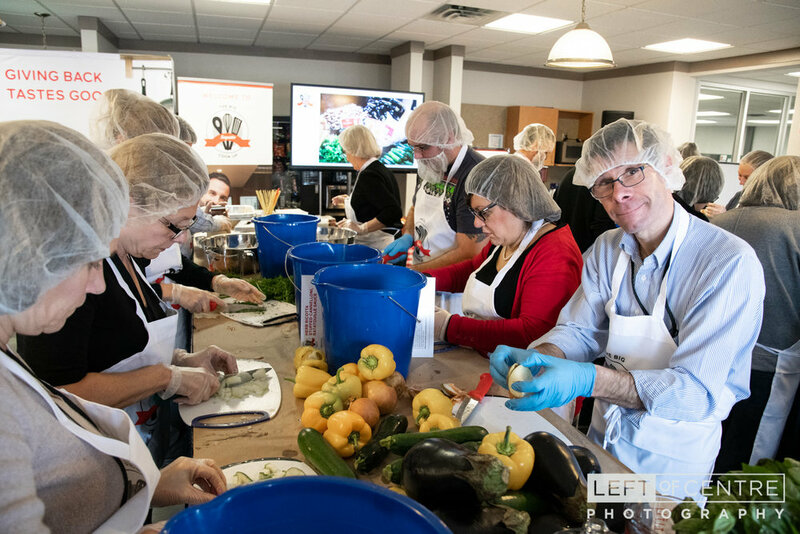 The folks at Saputo had planned The Big Cook Up, an event where staff members took a few hours out of their day to prep some large dishes of Herb Ricotta Stuffed Cannelloni in a Ratatouille sauce! 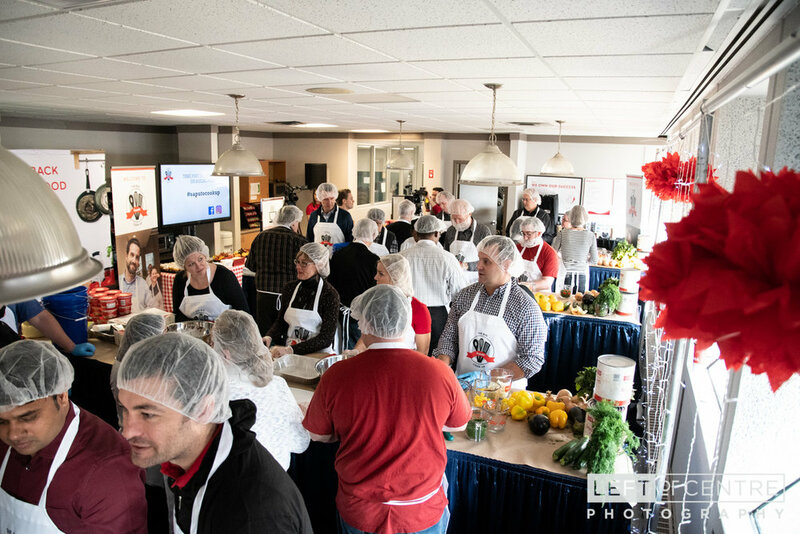 Not only did this occur at our local Georgetown plant, but at multiple Saputo locations across the world! 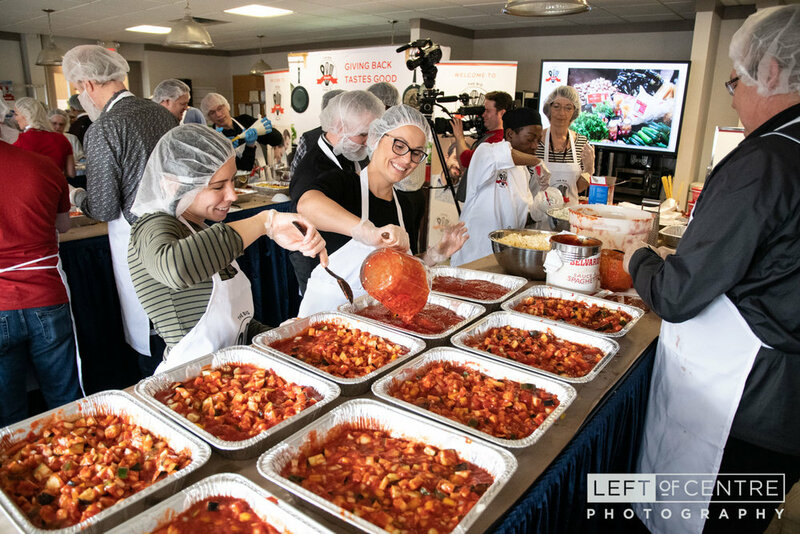 Entering the converted lunch room, four long, tall tables were set up for teams of eight employees to chop, shred, stir and stuff a bounty of fresh vegetables into a tomato sauce, which served as a bed for the cannelloni to be nestled into with mounds of fresh mozzarella cheese…under the watchful eyes of a team of chefs. 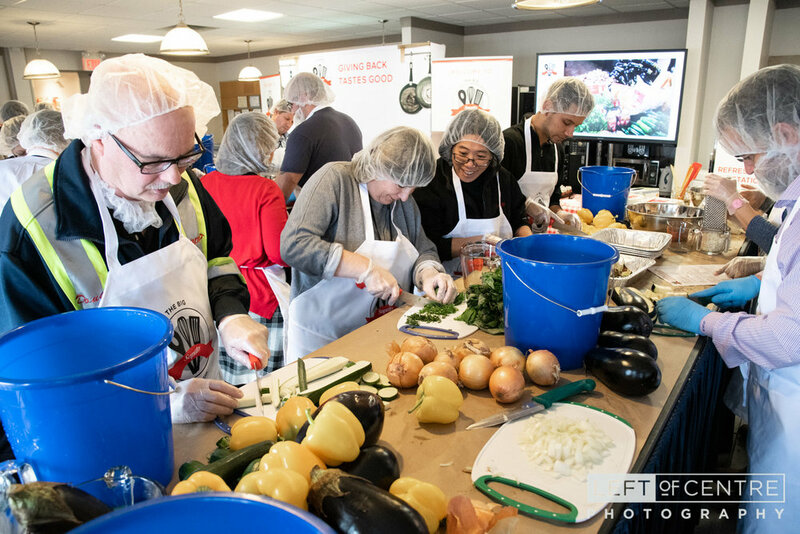 The teamwork was evident as the employees got through preparing ten huge casserole tins - then start the whole process over again! 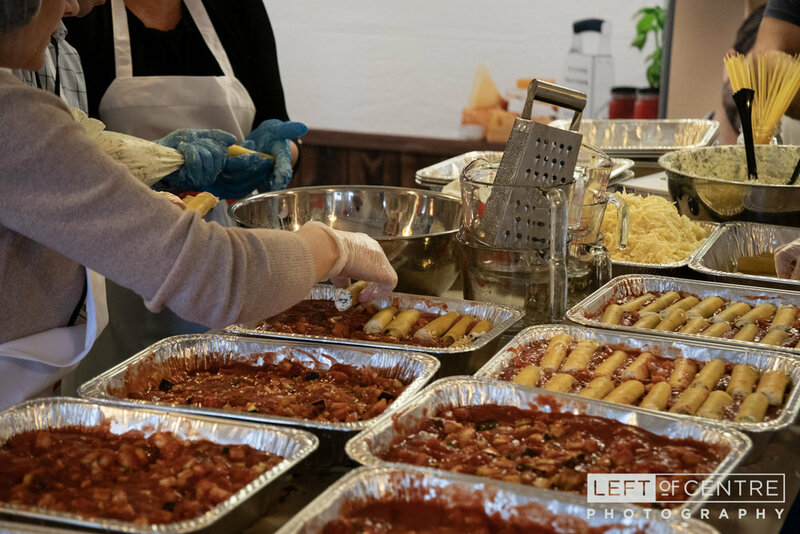 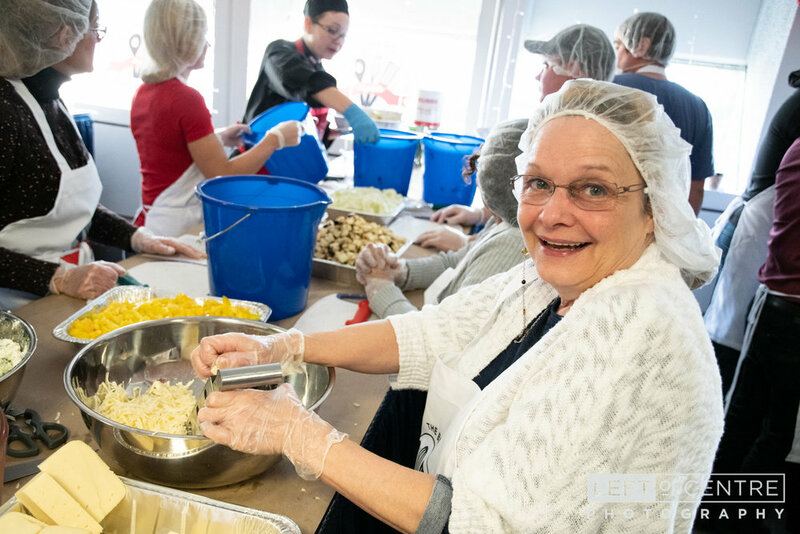 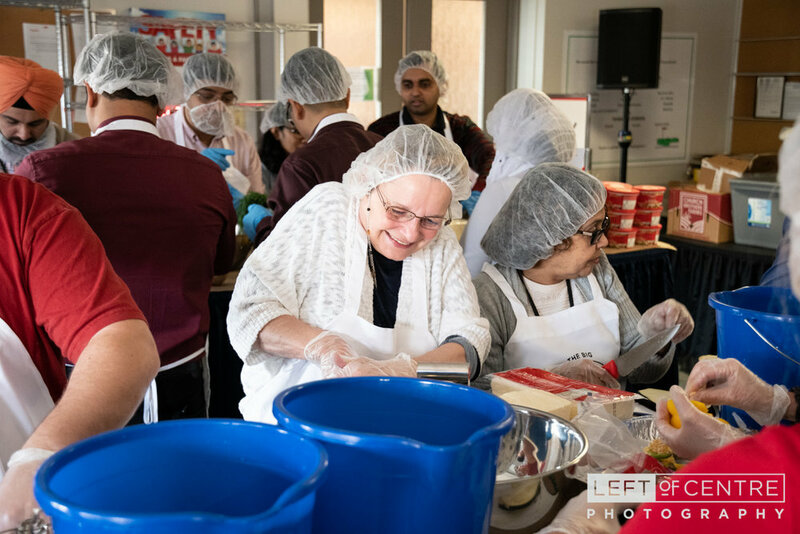 With two shifts in the morning and afternoon, the staff were able to make 160 massive cannelloni meals, which locally was in support of Food for Life Halton. 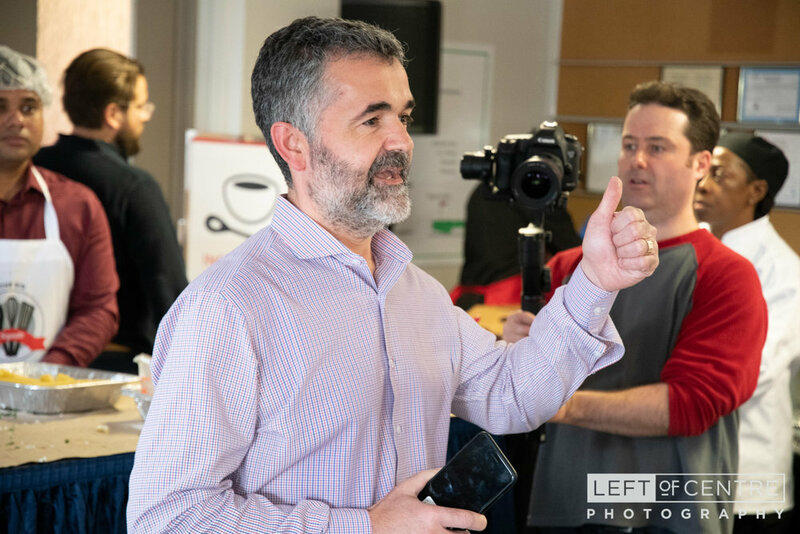 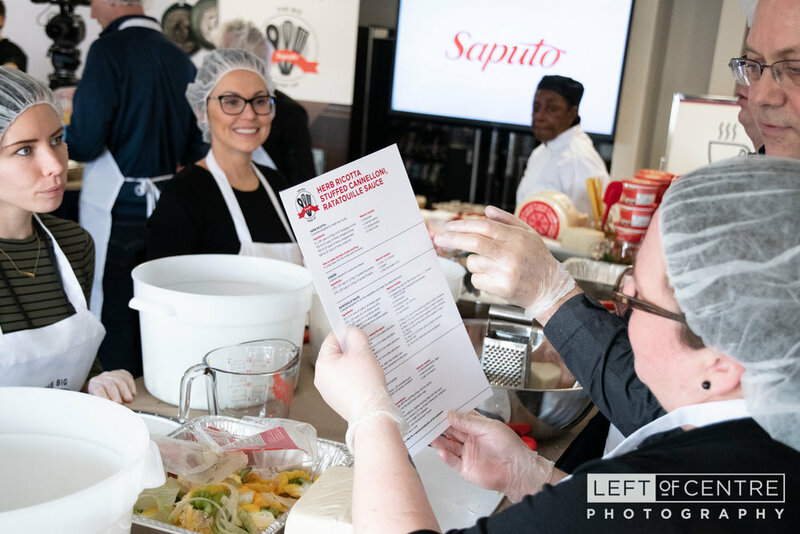 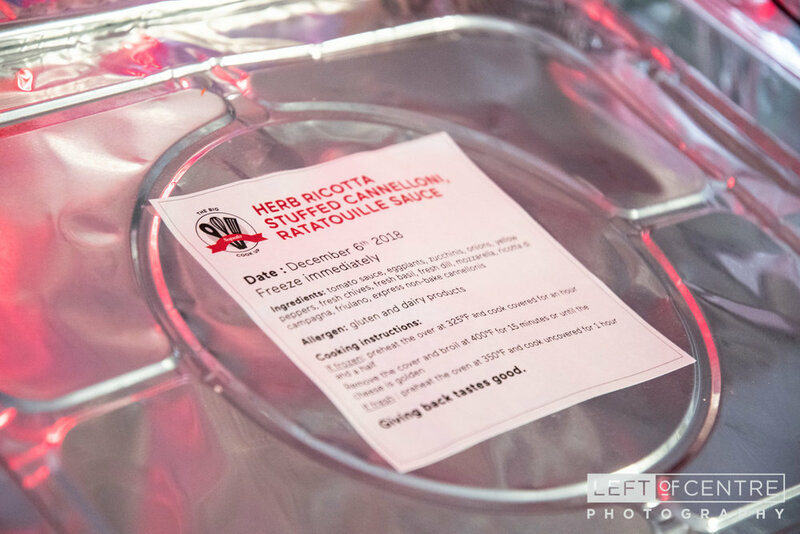 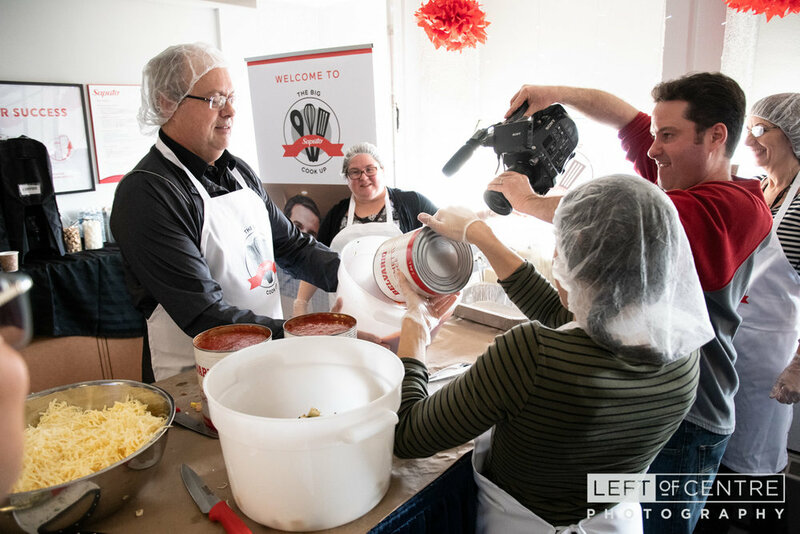 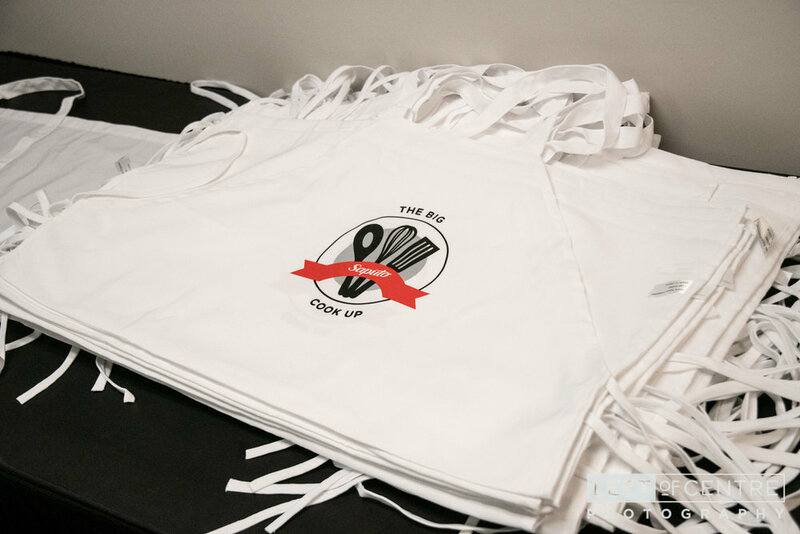 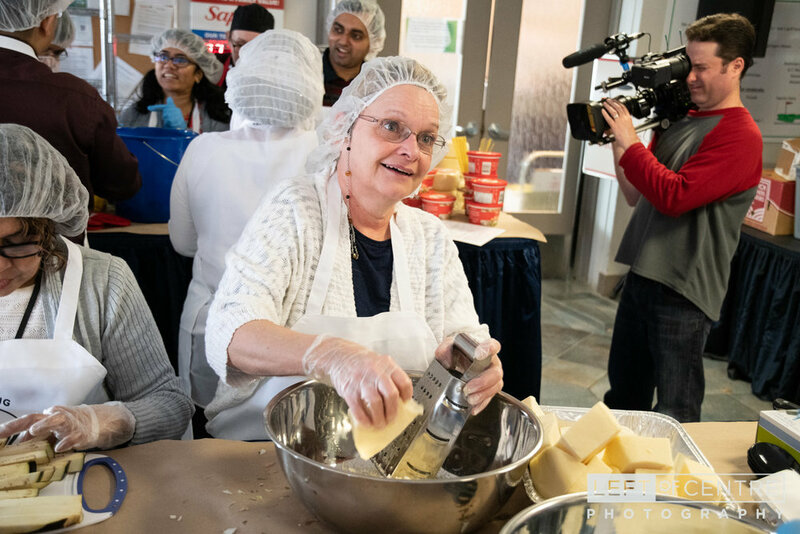 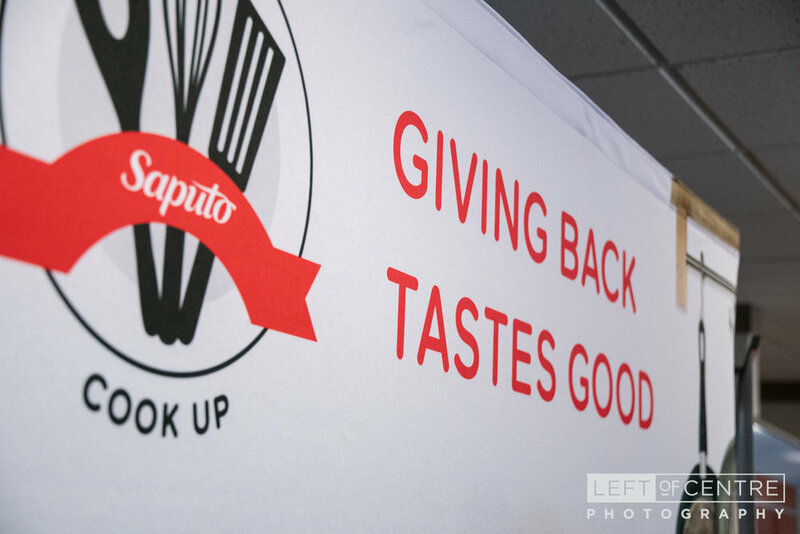 Here are just some of the images that capture the fun and hard work of the Saputo team for this worthwhile cause. 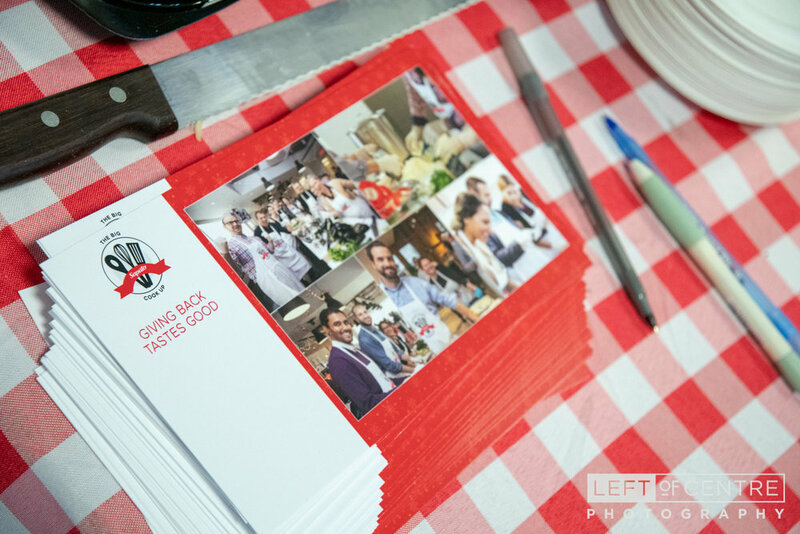 Giving Back Tastes Good, indeed!